True? 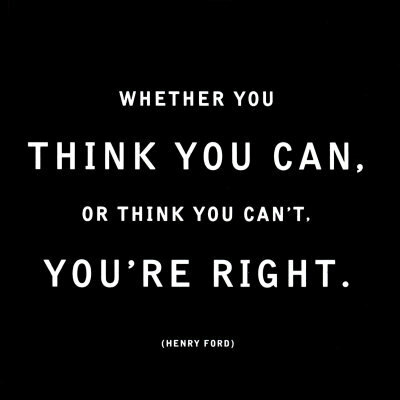 Was Henry Ford right? How does your thinking affect your results? This is one of my favorites. Along with the one that goes something like we either make ourselves miserable or we make ourselves happy - the amount of work is the same.